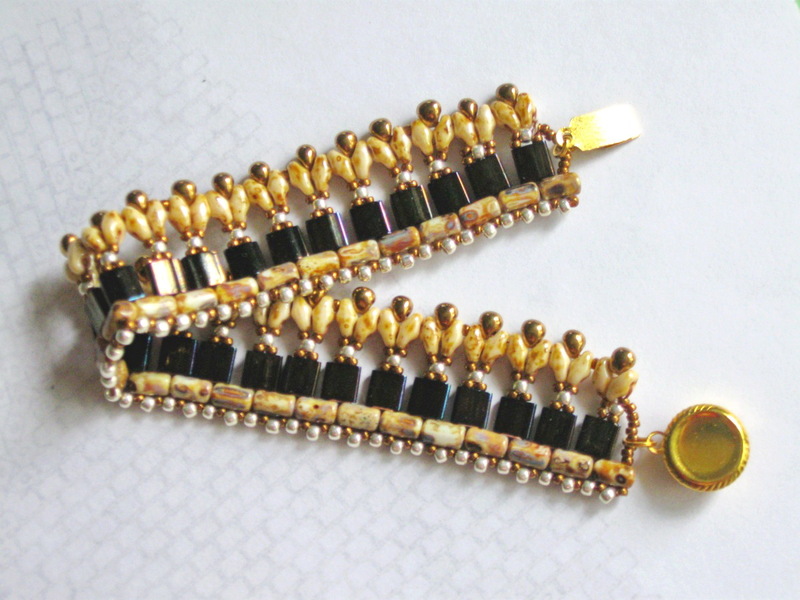 The ladder stitch is so that the beads are facing the right direction, up and down. This is so that the curves that spawn from the chain have a constant flow of up and down instead of sideways like off of a regular chain. I also really love this, but am a little confused. 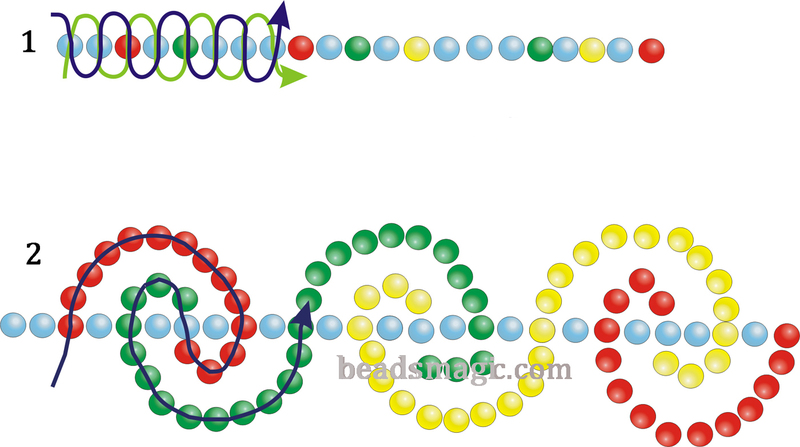 Does the diagram show the stringing order of the beads with the background being clear beads? So you would follow that plan, adding in the rest of the colors? And the second diagram shows the rest of the colors? for the second and third rows of beading? I really want to make this but am still a new beader and don’t have the experience to figure this out without asking your help! Thanks so much. 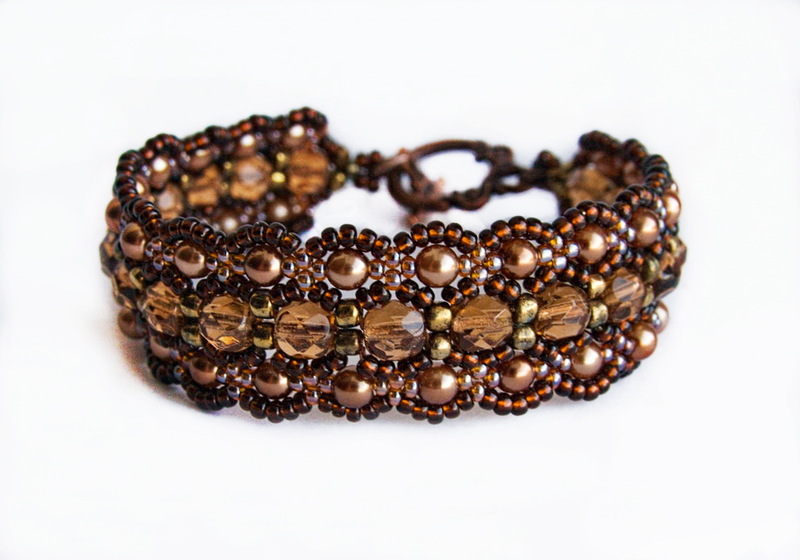 what size beads to use? 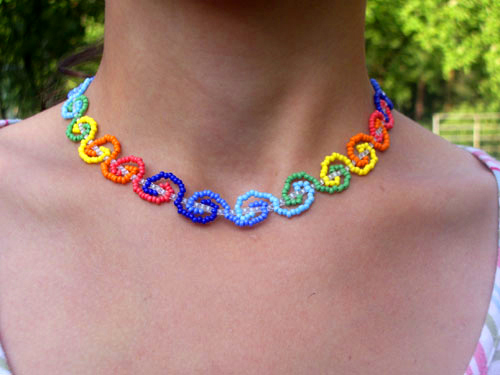 I love your necklace COLORED ROLL. But the place where the directions go is blank on my computer. 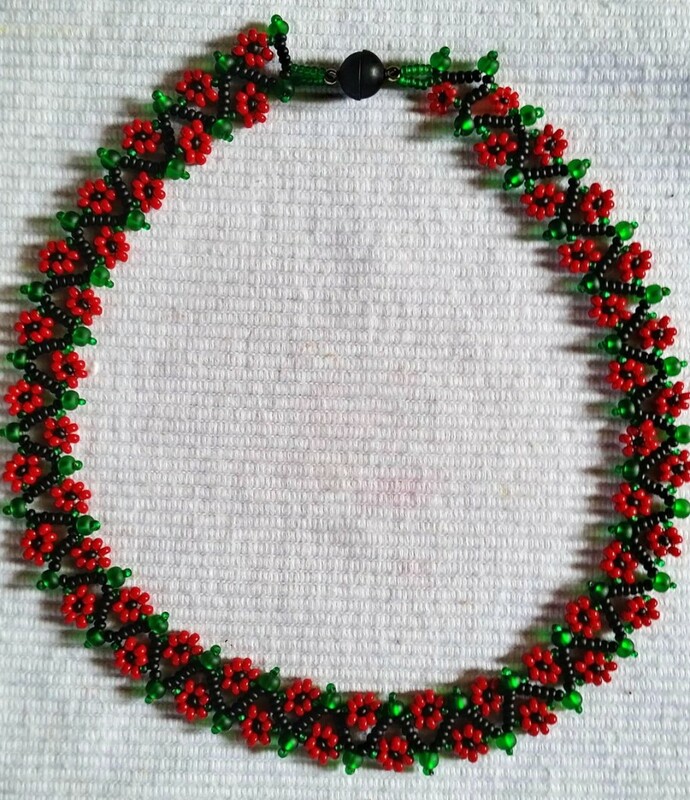 Is there a web site I could go to to get the pattern ? Is there a download with instructions and required materials? Would love to make but need additional information. hanks in advance! Lot of joy doing it !!! Not very difficult do make. 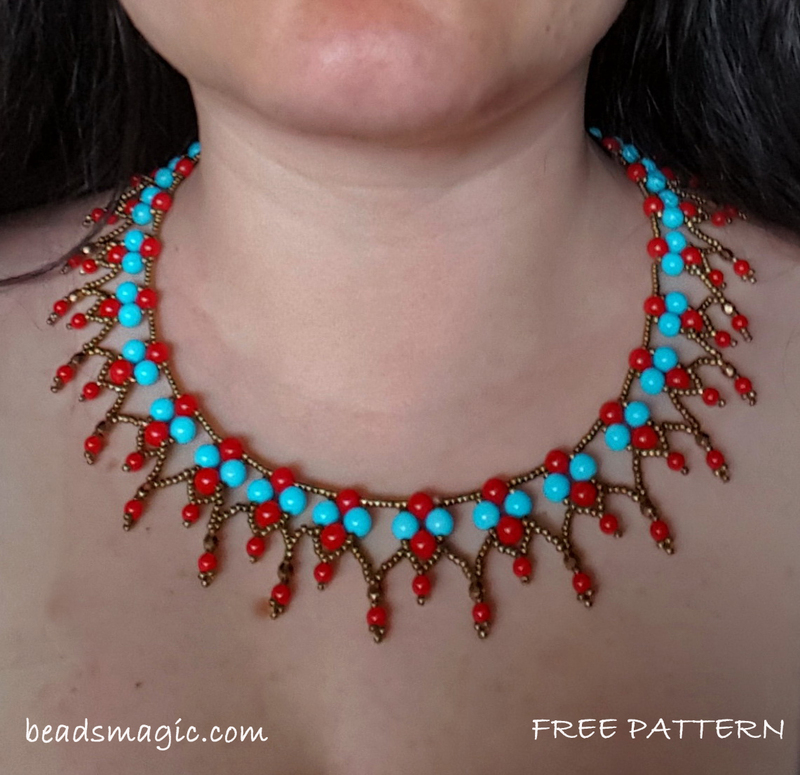 Perfect for a quick beading. Thank you.